My stories on repainting old kitchen cabinets with Rust-Oleum Cabinet Transformations continue to be among the most popular on the blog. Clearly: A lot of people are looking for products that make it easy to revive their old kitchen cabinets. Now, responding to folks with nice wood cabinets who want to keep the wood but just freshen it up (not paint it), Rust-Oleum has introduced their Rust-Oleum Wood Refinishing System. The video above shows how it’s done. Retail price is $69.97 and will cover a kitchen with about 40 linear feet of cabinets. There should be no problem using the Transformation Wood Refinishing System on older maple cabinets. It should also work well on real wood basement paneling, as long as its properly cleaned — but beware of trying to use it on paper wrapped or laminate paneling. It’s formulated for use on real wood only. Re basement paneling, I’ll also add that you are going to go through 100 s.f. of product really fast — this may not be an “affordable” solution for an entire man cave. Rust-Oleum’s entire press release and FAQ are below. You can also read all about it on the Rust-Oleum Wood Refinishing System web page. Read on for Rustoleum’s complete news release and FAQ on their new Rust-Oleum Wood Refinishing System:. The rich, warm beauty of natural wood has made it a popular choice for kitchen cabinetry. Unfortunately, wood cabinets can become faded and discolored due to normal wear and tear, grease and household cleaners – making both the cabinets and the entire kitchen look tired and outdated. But now there’s an easy, affordable way to renew the original color of worn, faded wood cabinets and bring them back to their like-new condition – Rust-Oleum® Cabinet Transformations® Wood Refinishing System. 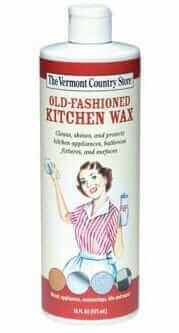 The do-it-yourself refinishing kit rejuvenates the color of old cabinets without stripping or sanding. It conceals marks, scratches and water stains associated with daily wear and tear. Plus the tough, durable finish protects the surface for years. Step 1: Apply the Wood Cleaner with a cleaning sponge and wipe down the surface. Step 3: Apply two coats of the Protective Top Coat. It’s that simple! Step 2: Brush on the Color Enhancer and wipe-off with the Lint-free Cloth. To ensure homeowners find the best match for their existing cabinetry, Cabinet Transformations Wood Refinishing System is available in six tintbase color ranges. Simply pick the color group that best matches your cabinets: Pickled, Light, Medium, Dark, Light Red and Dark Red. Formulated for all types of wood, it’s also ideal for trim, interior doors, vanities and other wood furniture providing superior stain and scratch resistance with tack-free durability. It offers a permanent long-lasting solution and eliminates the need for continuous maintenance. The low odor formula cleans up easily with soap and water. The Cabinet Transformations Wood Refinishing System kit comes complete with Wood Cleaner, Cleaning Sponges, Lint-free Cloths, Color Enhancer, Protective Top Coat and Stir Sticks. It also includes step-by-step instructions (in both English and Spanish) and an instructional DVD to make the wood refinishing project even easier. Rust-Oleum Cabinet Transformations Wood Refinishing System is backed by a 100% Satisfaction Guarantee and is available in the paint and stain aisles of major home centers and hardware retailers. A dedicated Product Support line is also available for assistance with projects, if needed. Note, this FAQ is as-of Jan. 4, 2012 — to see any updates, see the Rust-Oleum homepage for this product. Q. Does Cabinet Transformations Wood Refinishing System work on laminate, metal or melamine cabinetry? A. No, Cabinet Transformations Wood Refinishing System only works on real wood cabinetry that is stained in natural wood colors. Q. Can I use Cabinet Transformations on damaged cabinets? A. Yes. Holes and nicks can be filled with plastic wood filler. When the filler dries, sand the area until it is even with the surrounding surface. Once repairs have been made, follow the normal application process. Q. Can I use Cabinet Transformations Wood Refinishing System on surfaces other than kitchen cabinetry? A. Cabinet Transformations Wood Refinishing System is not limited to cabinetry. It can also be used to transform all woodwork including: islands, bath vanities, interior doors, and more. Q. Can Cabinet Transformations Wood Refinishing System transform dark cabinets to a light color using the lighter tint base color? A. The Wood Refinishing System is designed to restore the original color and beauty of your wood stained cabinetry. To completely change the color of your cabinets, the original stain color would need to be removed by sanding down the surface to bare wood, and then refinished with a traditional wood stain and polyurethane protective top coat. Q. Can Cabinet Transformations Wood Refinishing System be used on new bare wood cabinetry? A. No, Cabinet Transformations Wood Refinishing System is designed specifically for use on previously stained wood finishes, not new bare wood. Q. Do I have to strip or sand the surface as part of the preparation? A. Stripping and sanding are not necessary with Cabinet Transformations Wood Refinishing System. Simply use the Wood Cleaner and sponges provided to prepare your cabinets prior to applying the Color Enhancer and Protective Top Coat. Q. How does room temperature and humidity affect the application process? A. Higher humidity will cause the coating to dry more slowly while lower humidity will cause the coating to dry more quickly. Apply when air (ambient) temperature is 50 to 90 degrees Fahrenheit (10-32 degrees Celsius) and relative humidity is below 60 percent. Q. How do I refinish around stoves, sinks, and other appliances? A. Simply mask the sink, stove or other appliances with smooth painter’s tape. Be diligent about pressing in the edge to ensure none of the coating will bleed through. Place drop cloths over countertop surfaces and floors. Q. Do I need to remove cabinet doors and hardware? A. For the best results, removing cabinet doors and all cabinet hardware is recommended. It will be easier to get a smooth finish when coating the doors while they are lying flat. Q. What can I use to prop up my cabinet doors during the application process? A. Drive two drywall screws into a two by four. Set two of these on your worktable to support each door and to make the sides of your doors easier to coat. Please reference the instructional DVD for further details. Q. Should I finish the inside of my cabinet frames or drawers? A. It is recommended that all cabinet frames, doors and drawers be coated with two even coats of the Protective Top Coat. There is not, however, enough Protective Top Coat included in the kit to cover the inside of the cabinet frames or drawers. To ensure a clean, even look, tape the insides edges of each cabinet frame with smooth painter’s tape. Be sure all edges are pressed down to ensure that none of the coating will be able to bleed through. Q. How can I avoid potential appearance problems? A. Start by thoroughly cleaning the surface with the Wood Cleaner and rinsing well with clean water and a sponge. Be sure to remove the Color Enhancer with lint-free cloths in the direction of the wood grain. Finally, use a new or clean premium quality brush to apply two coats of Protective Top Coat. Q. Can I spray or roll on the Cabinet Transformations coating? A. It is not recommended to spray or roll on the Color Enhancer. The Color Enhancer needs to be worked into the surface with a foam brush, and removed with a clean lint-free cloth. The Protective Top Coat has been formulated and designed for optimal application with a brush, but can be sprayed with the proper equipment. To spray the Protective Top Coat, reduce up to ten percent water and use a HVLP sprayer at 35 psi. Ideal spray temperature and humidity conditions are 78 degrees Fahrenheit with 35 percent humidity. Q. How long should I wait before installing my cabinet doors, drawers, and hardware after using Cabinet Transformations? A. Cabinet doors, drawers, and hardware can be installed as early as 12 hours after the final coat of Protective Top Coat has been applied. Keep drawers and doors ajar until the Protective Top Coat is completely dry. The Protective Top Coat will be completely cured after 24 hours. Dry times will vary depending on your weather conditions. Q. How do I safely maintain my Cabinet Transformations surface? A. Caring for your resurfaced cabinets is easy. To clean the surface, use a damp cloth or sponge and a mild soap or detergent. Avoid using cleaners on new cabinetry for seven days. Q. How long will Cabinet Transformations last? A. With normal use and proper care, your refinished surface will last for years. Disclosure: Rust-Oleum is currently an advertiser on the blog. This story isn’t part of the deal or anything, though. See my Disclosure policy (how I make money by writing this blog) here. Would love to see a follow up on this post – who used the wood transformation kit and how did it work? I’m interested in the wood results, not the paint results. Thanks! can you use a slightly darker colour when staining wood? I could be wrong of course but this sounds like an ordinary wood staining product to me, and then advertised as if it’s something special (which justifies the higher price to unwary shoppers). I have a 30 year old house with extensive wood paneling finished with lacquer. I need to do an extensive refinishing job on lots of this wood. At this moment I am about to start refinishing by light sanding the lacquer then applying a shellac based product. This is going to be extremely labor intensive. Would this product work to refinish lacquer? Would this reduce my labor? Doug, contact the company to see what they say.